I feel like I’ve lost a lot of my creativity since when I was a little Mindy. I used to see a cardboard box and think, “aw cool, a fort, or a spaceship or a stuffed animal bus!” Now I see a cardboard box and I think , “aw cool, a fort, or a spaceship or a stuffed animal bus! Too bad, I will never touch that cardboard box because someone is most likely living in it.” Lately I’ve been wondering what all the hype is about unicorns. Aren’t they just horses with a horn? Why don’t we think Rhinos are magical or Platypus? That’s a weird freak of nature, a Platypus. They definitely don’t get the magical attention they deserve. 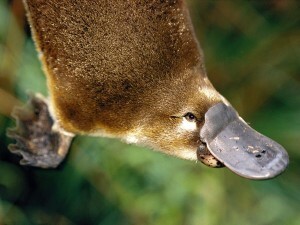 There should be more famous Platypus. I’m not sure what the plural form of Platypus would be, maybe Platypee? You know what’s a funny word? Masks. It has to be plural or else it’s not nearly as funny. But go ahead, say masks out loud like 10 times in a row, it starts being funny after about 4 times and then by the time you get to 10 it’s like your speaking another language. Well today is the day that most people have to pay rent. 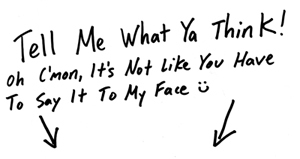 It doesn’t sound very special but when you think about it, it’s something a lot of people have in common. I guess we also have eating in common. Like today is the day everyone is going to eat at some point. Yeah, I guess paying rent is really not that special. It doesn’t make me feel any closer to anyone else who is also paying rent. However, when I went passed the little box where I’m supposed to drop my rent check in today, there was a sign that said something along the lines of “Contact Michelle for lost ring.” I assume that must mean that while someone was innocently dropping their rent check into the box, a scary ring eating monster tried to swallow their hand. While they pulled and pulled trying to break free from the slobbery clutch of the monster’s mouth, the ring off their finger slipped off, thus choking the monster making him break the hold it had on their hand for one millisecond so they could pull out their hand. And now it seems, it’s master, ‘Michelle’ has since dissected the monster’s poo and found a ring in it and assumes it must belong to some innocent person who was just trying to pay their rent on time. That’s it, I’m not paying rent this month, I can’t deal with the possibility of a slobbery monster biting off my hand. I’ll get my new friend, Pablo the Platypus to do it, and he will defeat the beast and become famous for it. Or at least I will find him a nice cardboard box to live in.